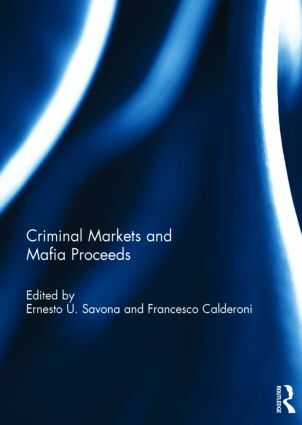 This book estimates the proceeds of crime and mafia revenues for different criminal markets such as sexual exploitation, drugs, illicit cigarettes, loan sharking, extortion racketeering, counterfeiting, illicit firearms, illegal gambling and illicit waste management. It is the first time that scholars have adopted detailed methodologies to ensure the highest reliability and validity of the estimation. Overall, estimated proceeds of crime amount to € 22.8 billion: 1.5% of the Italian GDP. Of this, up to € 10.7 billion (0.7 of the GDP) may be attributable to the Italian mafias. These figures are considerably lower than the ones most frequently circulated on the news, without any details about their methodology, which were defined by a UN study as "gross overestimates". Far from underestimating criminal revenues, the results of this study bring the issue of the proceeds of crime to an empirically-based debate, providing support for improved future estimates and more effective policies. The volume’s contributions were inspired by a project awarded by the Italian Ministry of Interior to Transcrime, which produced the first report on mafia investments (www.investimentioc.it). This book was originally published as a special issue of Global Crime. Ernesto U. Savona is Director of Transcrime, the Joint Research Centre on Transnational Organized Crime of Università Cattolica del Sacro Cuore and University of Trento, Italy. He has worked at the US National Institute of Justice and was also President of the European Society of Criminology (2003) and Chair of the World Economic Forum’s Global Agenda Council of Organized Crime (2011). He works on organized and economic crime with attention to opportunities created for these crimes by regulation (crime proofing). Francesco Calderoni has been Assistant Professor at Università Cattolica del Sacro Cuore and Researcher at Transcrime, Italy since 2005. He has been an expert for the Council of Europe (2006-2007), the European Commission (2006), and the United Nations Office on Drugs and Crime (2012 and 2014). His research focuses on the mafias and organized crime, organized crime policies, illicit trade in tobacco products and network analysis of crime.